The present day market economy is a complex mechanism consisting of a great number of different industrial, commercial, financial and informational structures that function jointly in time against the background of a ramified system of legal norms for business and that are united by a common concept, namely the market. Competition is the key concept that expresses the essence of a market economy. Above all, fair competition involves fair competitiveness among business entities for consumer demand on the market. However, in order to obtain advantages over other market participants certain business entities resort to competition methods that are detrimental to consumers, competitors and the public in general. Such methods are recognized as unfair competition, which is extremely undesirable for any economy in the world and especially for Ukraine, which is going through the formation of market relations which should comply with international standards. Issues related to protection against unfair competition in Ukraine are regulated by the Law of Ukraine On Protection Against Unfair Competition (hereinafter — the Law). Article 1 of the Law defines “unfair competition” as any actions in competition that contradict trade and other fair traditions in business activity. 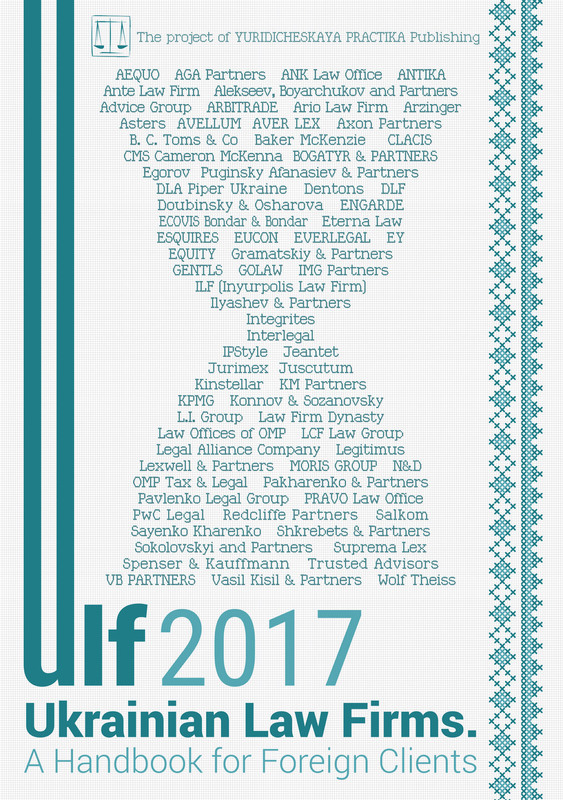 3) illegal collection, disclosure and use of business secrets (Articles 16-19 of the Law of Ukraine On Protection Against Unfair Competition). The most common unfair competition practice is traditionally considered to be the spreading of misleading information. Thus, according to the annual reports of the Antimonopoly Committee of Ukraine, in 2014 the number of such violations detected by the Committee was 90%, and in 2015 and 2016 — 89% of the total number of violations in form of unfair competition. — includes references to volume of production, purchase, sale or supply of goods, works and services, which actually did not exist at the date such information was disseminated. The above-mentioned list of misleading information is not exhaustive and it is possible to amend it. However, the content of Article 151 of the Law of Ukraine On Protection Against Unfair Competition only considers facts of dissemination of misleading information that include incomplete, inaccurate and/or false data as unfair competition. At the same time, the Law does not consider cases of spreading of true information that also may be misleading as unfair competition. Thus, for instance, in some countries it is forbidden to add chemical substances to certain types of food, hence the text on their packages such as “chemical substances free” could be considered as misleading, because the consumer may think that this good is exceptional. It should also be mentioned that the provisions of Article 151 of the Law of Ukraine On Protection Against Unfair Competition are quite subjective. In practice, especially while developing promotional materials, the question related to whether or not the advert video, announcement or any other advertisement complies with the norms of legislation on protection against unfair competition, often arises. In order to receive an answer to this question and to avoid possible sanctions for disseminating misleading information, the business entity should perform thorough legal expertise of any promotional material as well as the description of the product (good) that is usually placed on its packaging. In 2016 the biggest fines for violations stipulated by Article 151 of the Law of Ukraine On Protection Against Unfair Competition were imposed on the State Enterprise Starokonstantinovskiy milk plant (the case related to providing the public with false information on the packaging of the “farming sweet cream butter” product produced by the violator related to its name and characteristics that may affect the intentions of an infinite number of persons related to its purchase) and the Simferopol Wine and Cognac Distillery, LLC (the case related to violation of legislation on protection against unfair competition through placing on the label “strong alcohol beverage “Malty” (“Malty”) Black Jack TM”, the text “WHISKEY Old”, “Scotch WHISKEY” and “WHISKEY” while this product is not whiskey, which is why the spreading of false information about consumer properties and characteristics of the stated product took place). The fine in the first case was more than UAH 790,000, while in the second case more than UAH 1.6 million. It is interesting to mention that in 2015 the Antimonopoly Committee of Ukraine prosecuted the Simferopol Wine and Cognac Distillery LLC for the same violation of legislation on protection against unfair competition. The sum of the fine exceeded UAH 14.6 million. Another topical violation of legislation on protection against unfair competition (according to the Antimonopoly Committee of Ukraine) is illegal use of designations. The number of such cases considered by the Antimonopoly Committee in 2015 was equal to 9% of the total number of violations in the form of unfair competition which, together with cases on violation in the form of spreading of misleading information, was equal to 98% of the total number of cases on unfair competition that were investigated by the Committee in 2015. In 2016 this index appeared lower. It made up for about 5% of the total number of violations in the field of unfair competition that were detected by the Antimonopoly Committee of Ukraine last year. Pursuant to Article 4 of the Law of Ukraine On Protection Against Unfair Competition illegal use of designations is considered to be use of the name, commercial (firm) name, trade mark (mark for goods and services), advertising materials, design of product packaging and periodicals, other designations without permission (consent) of the business entity that started using these or similar designations in its business earlier, which has resulted, or may result, in confusing them with the activities of this particular business entity. We would like to note that the above-mentioned violation has a very similar legal nature to that of violations in the field of protection of intellectual property rights. However, the field of regulation of protection against unfair competition has certain peculiarities that can make it possible for business entities to protect their rights in case when the legislation on protection of intellectual property rights does not provide this. In addition, the field of application of legislation on protection against unfair competition is wider, because in such a case the protection is provided not only for a certain identified and registered trademark for goods and services but to any designation that a business entity uses in its activity. When filing a complaint on the illegal use of designation to the Antimonopoly Committee of Ukraine, it is necessary to understand that the main aim of its activity and function is to protect competition on the market but not to protect a certain person. Therefore, the business entity is unable to claim through the Antimonopoly Committee of Ukraine for compensation of damages or to receive any other compensation from the offender. By way of conclusion, it is worth adding that Ukrainian legislation provides fundamental responsibility for actions that are recognized as unfair competition. Thus, when the violation of competition law in the form of unfair competition takes place, the Antimonopoly Committee of Ukraine is empowered to impose a fine on the offender in the amount of up to 5% of income (revenue) from the sales of products (goods and services) for the last financial year preceding the year in which the fine was imposed. In addition to this, the Committee is also empowered to initiate (by applying to the court with a respective claim) the seizing of respective goods with illegal use of designation, copies of products of another business entity from both the manufacturer and the seller of such products. In this case, the sanction in the form of seizure of goods has the aim, above all, of terminating further spread of infringing products (goods) by the particular business entity that allowed such violation of competition legislation to occur.